I have been busy in my studio this past week creating a lot of earrings and necklaces. I try to create a minimalist or architectural feel to all of my jewelry and these rectangular bar earrings are one of my favorites with their hand formed wires. So simple and unique. Check out all the newly in stock items and enjoy a 20% discount on all purchases now through April 7. Here are a few more pieces of jewelry that are back in stock. Calling all Charlotte locals! ASH Jewelry Studio has been invited to host a pop-up shop this Saturday. Come visit me on December 3rd from 1-3 at Madewell in South Park Mall. I will get a chance to see you and who doesn't love a visit to South Park? 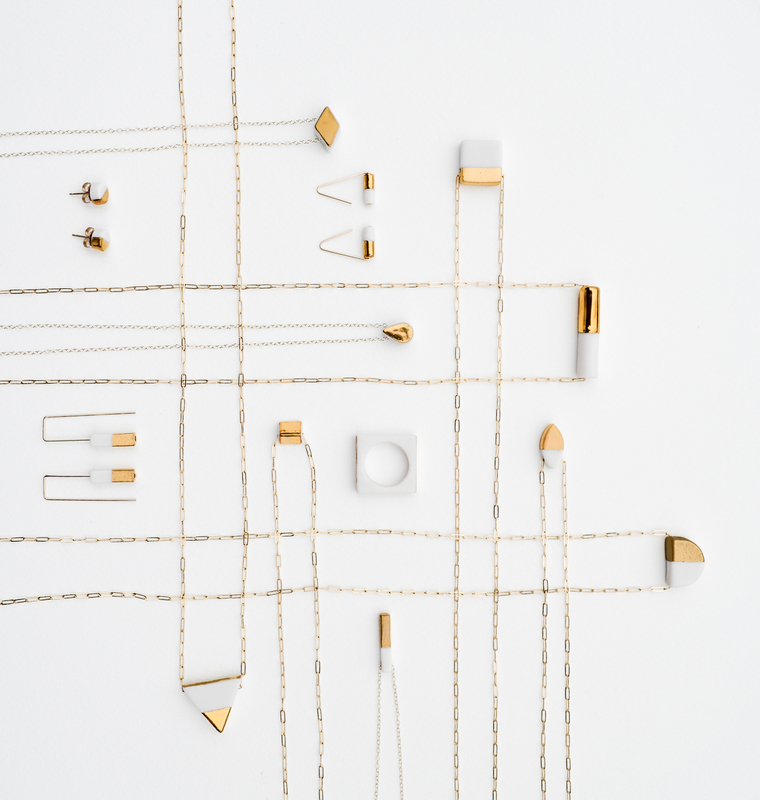 A modern take on the hoop earring, this collection of 14k gold filled earrings is super versatile. Many of these light weight adornments can be worn in numerous ways. Each pair comes with rubber backs so that you can choose how you'd like to wear the earrings and keep them in place. You can even hang them different ways in each ear to achieve a mismatched look. Bringing lovers, young and old, together to celebrate each other. From flowers, to chocolate, to special little gifts, we love them all. Share the love and tell us your favorite Valentine gift or experience you have had. Our tradition is to order seafood (usually lobster), cook it at home, and enjoy the evening together. Valentine's Day also happens to be my husband's birthday so we have even more to celebrate!